Grand Bois USB battery powered taillight. 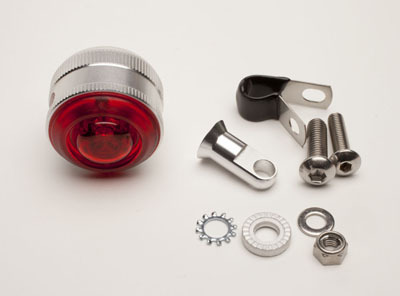 This nice looking and very bright LED taillight comes with hardware to mount on a standard seat tube braze-on, fender stays, or standard frame eyelets and more. Recharge with USB. The USB port has a silicone stopper to keep out moister. 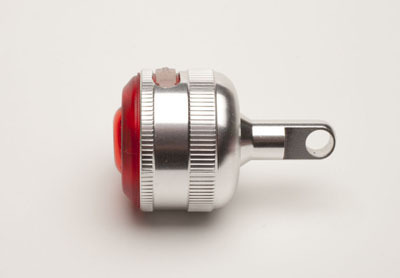 Has both steady and flashing modes. 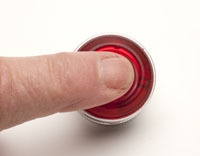 Press the center of the lens to turn on or change modes.